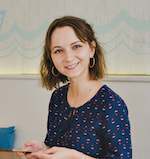 Daria Solovieva is a Dubai-based business journalist covering startups and a founder of ELLA, a curated news platform for women in the Middle East. ELLA will join Flat6labs Abu Dhabi’s next cycle in July. Egypt's new media startups are multiplying - but is the trend sustainable?